Soothing and moisturizing nutritive cream for dry and dehydrated skin. 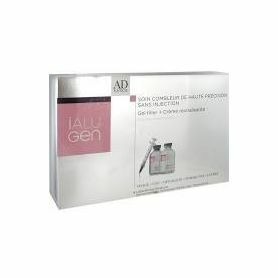 meets the requirements of sensitive and intolerant skin. The formula of this treatment offers you a real barrier against dehydration. feelings of discomfort and give your skin its softness and elasticity. This treatment does not contain perfume to avoid irritating your skin. cool, more supple and soothed. Aqua (Water), Cetearyl alcohol, Decyl oleate, Cetearyl glucoside, Glycerin, Hydrogenated starch hydrolyzate, Sodium hyaluronate, Sodium citrate, Sodium lauryl sulfate, Sodium cetearyl sulfate, Disodium phosphate, Tocopherol, Hydrogenated palm glycerides citrate, Potassium phosphate, Potassium sorbate, Sorbic acid.